Oh how I love shelves. I love how simple they can be. They're a great solution to small spaces, awkward spaces and tall ones too. You can buy new or repurpose with ease. Consider putting up a couple small shelves to declutter a table and fill up some wall space. Look at how cute this would be for an older boys room! 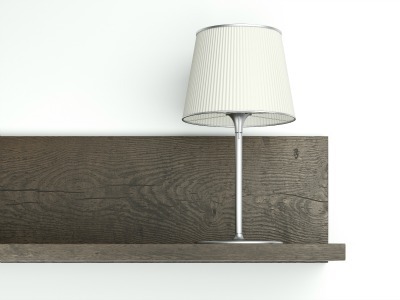 I like this next shelf as an option instead of a nightstand/bedside table. I think it's a great option to keep the necessities nearby but keep the floors clear. And tell me, have you ever thought about putting a "back" on your shelves? If you have an older home, this next option might not work as you may not have enough space under your cabinets. However, if you do, it could be a unique way to keep the counters clear and create more storage space, because who couldn't use more workspace in a kitchen anyways!? Just mount a 6"-8" shelf halfway between the counters and cabinets. You could even hang cups under like they did below. I don't know about you but I spend a lot of time throughout the day in my kitchen. Three meals, two snacks and everything in between and I'm in that space at least once an hour. I need a space that is organized and orderly to feel like I can get something done. I'm a huge proponent of cutting the clutter. I'm not saying get rid of everything on your counter, if you make smoothies every morning, keep the blender out! But if you don't, hide it. One thing most people are short on is space in their kitchen so here are a few solutions for that. Food storage is something everyone needs and there are so many products out there. Everything you need to take advantage of all the space you do have.One of my favorite stores for organization is The Container Store. They have everything. 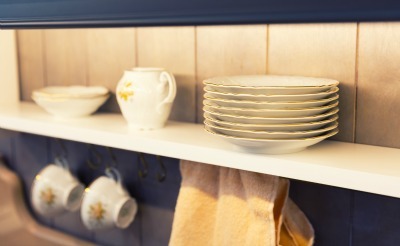 How about pantry door storage? Or even utilizing the floor of the pantry? My favorite though: canisters. Isn't it so much easier to feel on top of things when you know what you have and how much? Put things you don't want to run out of in clear containers and they'll always be on the shopping list when they need to be refilled. Wouldn't this be nice too? Everything has a place, even the scrub brush! Staying current on bills and correspondence is so important and I hate to leave it just laying around. 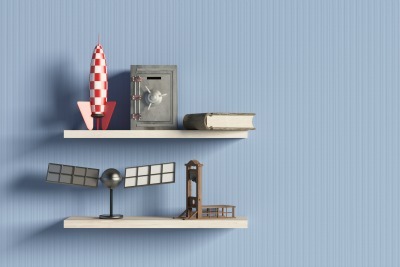 A simple wall organizer can help keep things together and off precious workspace. There are a lot of options depending on needs but I would suggest starting with something like this, at the least. Lastly, if you have the space but lack the Do-It-Yourself ability, consider purchasing a hall tree/locker system. They're a great stopping point when you enter a home to take coats and shoes off and even offer hidden storage for winter gear or even pet supplies. If you'd like a little more inspiration, check out my board on Pinterest! Older PostBirthday Special: Home Tour Sneak Peek! !